The King of Flagship Smartphone is here; yes we are talking about none other than new Samsung Galaxy S8. With Samsung Galaxy S8 Samsung also aims to reclaim the Glory which has been lost by Galaxy Note 7 fire mishap. The smartphones will be offered in five different color variants – midnight black, arctic silver, orchid gray, maple gold and coral blue. 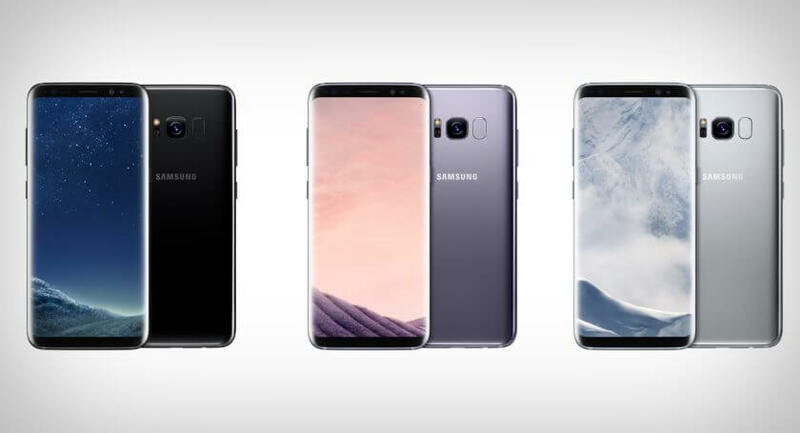 Samsung Galaxy S8 and S8+ both smartphones are powered by Qualcomm’s 64-bit Snapdragon 835 octa-core SoC (or Samsung’s 64-bit Exynos 8895 SoC), paired with 4GB of RAM and 64GB onboard storage, along with a microSD card slot for further expansion up to 256GB. Well Samsung Galaxy S8 goes skinny throughout the display. Well this time around, both smartphones feature dual-edge curved displays. 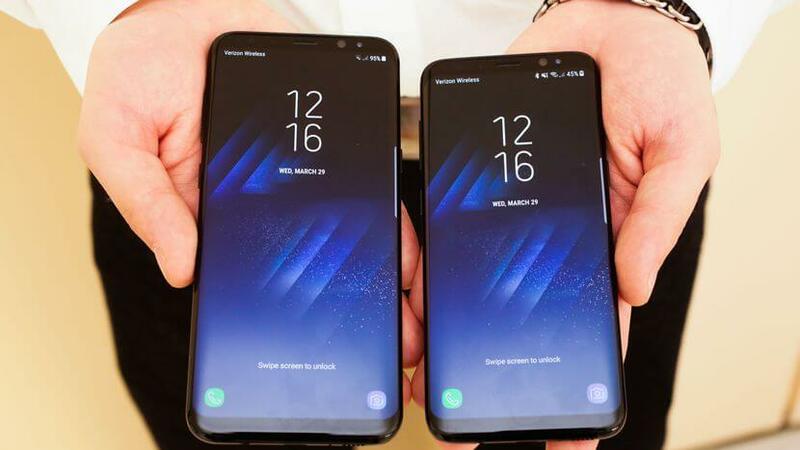 Unlike last couple of years when Samsung released two variants – one with flat display and other with dual-edge curved display. Samsung has also been able to bump the screen size while keeping a sleek and slim form factor with both of them featuring Super AMOLED panels running at QHD resolution, and aspect ratio of 18.5:9. Samsung calls it Infinity Display. The Galaxy S8 and Galaxy S8+ are also the first smartphones to feature an Ultra Dynamic Range certified screen. The Galaxy S8 features a 5.8-inch display (2960x1440pixels, and pixel density of 570ppi) , whereas the Galaxy S8+ features a 6.2-inch display (2960x1440pixels, and pixel density of 529ppi). However, this time around, Samsung has done away with the physical home button on the front. It has also gotten rid of the capacitive Android navigation buttons for back and app switcher, and replaced them with on-screen ones instead. If you press the home button hard or for long time it will take you to the homescreen while playing Games, browsing. Remember previously pressing the home button two times will open the camera now the same thing can be done with the power button on the side of Galaxy s8 instead of home button. The fingerprint sensor, which was previously embedded inside the home button, is now moved to the back, besides the camera sensor. Both the Galaxy S8 and Galaxy S8+ feature same 12-megapixel rear camera of aperture f/1.7 that can capture more light, thus improving low-light photography with OIS and EIS technology. 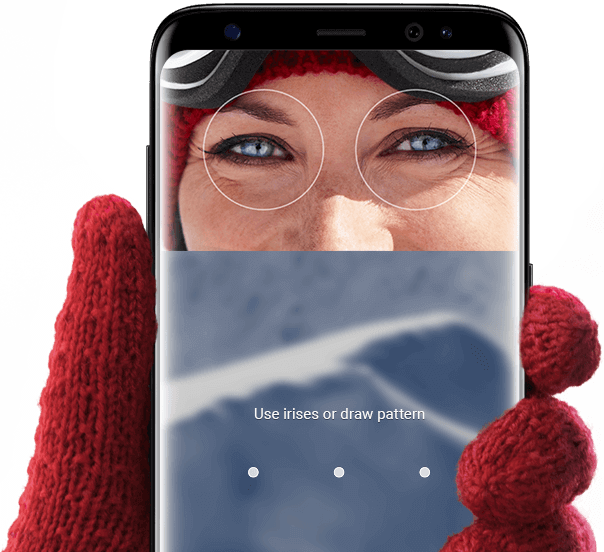 But what has been changed in the new Galaxy S8 is the front camera which has been bumped from 5mp to 8mp with auto-focus support for clicking blur-free selfies and video calling. This is very new in Samsung Galaxy S8 but not with all smartphone as Sri is already present on iPhone and it is similar like Apple Siri. However it is Made by the creators of Siri, and later acquired by Samsung, the Bixby assistant can do all the basic tasks such as offer updates on weather, reminders, add alarms, analyze your usage pattern and offer contextual and proactive suggestions based on apps and functions you use. For Bixby AI-assistant you have to press a dedicated button on the left edge, just below the volume button, to summon Bixby assistant. There is also Bixby Vision image search feature that lets you scan objects for products online or scan locations from nearby places. What’s more, you can also use Bixby to create reminders from videos, images or websites to view them later. We are not going to talk about the fingerprint scanner as they have now become quite common, even on cheap smartphones too. Samsung has taken the phone security a step ahead with the combination of Iris Scanner and Face recognition system. That’s for it well Samsung Galaxy S8 Pre-orders starts from tomorrow in select markets, and will go on sale starting April 21. However, there is no word on Indian availability yet. The Galaxy S8 will set you back by EUR 809 ($869 [Rs 56,500]), whereas the Galaxy S8+ is priced slightly higher at EUR 909 ($976 [Rs 63,500]). Don’t forget to tell us which feature you like the most in new Samsung Galaxy S8 in our comment section below.